Cabinetry surfaces and finishes can dramatically change the look of a kitchen and add to the depth and design of a space. A traditionally faced cabinetry will look starkly different as compared to a retro or more sleek and contemporary styled cabinetry. 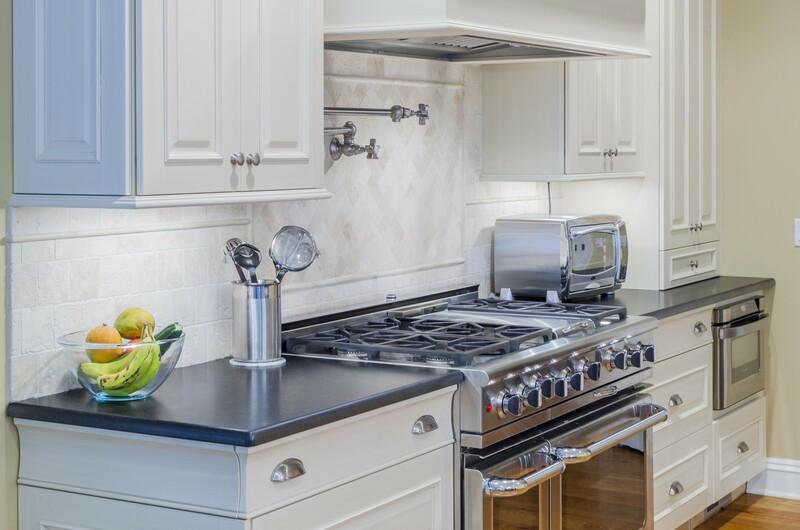 While your natural stone kitchen countertops may last over 100 years, your cabinetry style may clash drastically with the previous homeowner and will alter your kitchen design plans. Further, if you live in the same home for many years, you may seek to redesign your kitchen regarding cabinetry and accent pieces, but you would never need to replace your natural stone countertops. The look of sleek and contemporary kitchen cabinetry pairs well with virtually any natural stone kitchen countertop from the veiny rich look of marble, to the neutral beige look of Fantasy Brown quartzite and Bianco Antico granite. Natural stone countertops are so neutral in their ability to work within all types of design spaces. The same slab of granite, marble, or quartzite will take on a new life and look drastically different in a retro kitchen as opposed to a French country kitchen. Unless you install an exotic stone, your kitchen countertops will likely remain in place for up to 100 years as the kitchen design trends change around them. A neutral quartzite countertop provides the perfect starting point for designing a retro kitchen. 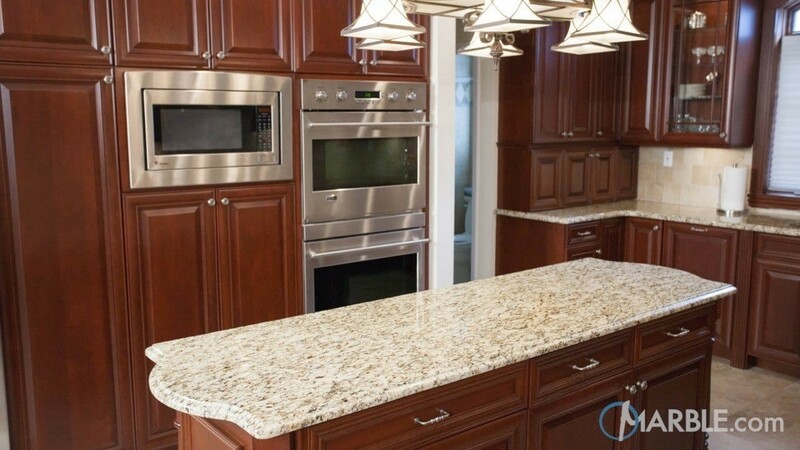 Homeowners should always devote ample time to visiting the slab yard and viewing each type of granite, marble, and quartzite to determine the stone color that is right for the retro kitchen in their kitchen. Retro cabinets borrow from the design trends of the past and can produce an incredibly striking and unique kitchen. Many homeowners look to midcentury modern for kitchen design. It is marked by efficient, angular, sturdy construction that relies on flowing curves and shapes within the cabinetry design. Hardware for a contemporary or retro kitchen tends to be sleek and devoid of excess ornaments. Some retro kitchens draw from the look of the past by introducing bold colors within the kitchen design. The cabinet colors can range in the finish, but a neutral stone countertop will help to bring the look of the kitchen together. Retro kitchens can incorporate all types of stone colors but will get their originality and style from the cabinetry and accent pieces throughout the kitchen. People are drawn to natural stone for its beauty and durability, and, ultimately, its ability to work within almost any design space. Homeowners can make one investment in high-quality natural stone kitchen countertops and live in a home for the rest of their lives. They can update the cabinetry or backsplash and transform their space to reflect modern trends while leaving the granite or quartzite countertops in place.